Many people are looking for the right bed to purchase as well as the perfect mattress to be placed on top of it so they will be able to enjoy a very comfortable and good night sleep. According to various scientific studies, we are normally spending about one-third of our life sleeping. So it is a must that we are very comfortable as we lay on the bed and that we achieve a really good sleep every single night. A mattress is described as a pad that plays a major role in supporting your body as you recline and rest in the bed for a sleep or a quick nap. Normally large in size, the buyer can choose from an array of mattress available at the store. Depending on the size of your bed, you are strongly advised to get the one that fits your bed correctly. It won’t be that hard to pick especially since you have many choices due to the different brands and models of mattresses being sold today. If you are the type of person who’s very particular when it comes to the pieces of furniture and products you purchase from the store, you will find this article very useful. Indeed, you will need a list of factors that you should consider especially when you are purchasing a mattress if you really want to achieve a good night sleep. Although you have an idea of what the factors are, it is still best that you take note of what’s written here. It will be easy for you to pick what you want to purchase after reading this article. 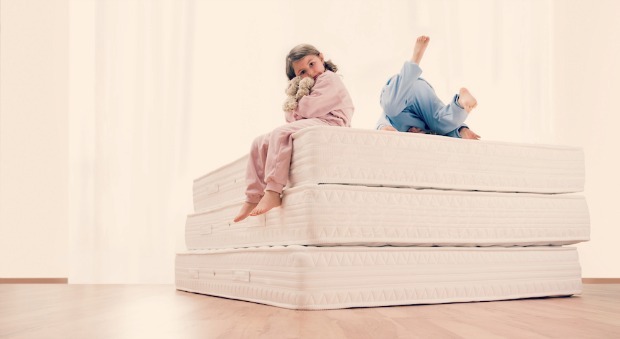 Different mattresses are manufactured by different companies and understandably will have different prices. People will have problems if they don’t set a price limit to the product they’re allowed to purchase. If you have a budget then you will be forced to look at the price first and not the brand name. If you are a little tight on the budget then you may probably choose a product that fits right in within your price range. But even if you have a flexible budget, you still have to consider its price and determine if its price tag fits the quality of the mattress you want to purchase. In addition to the price of the product, you should also check and consider the quality of the mattress. Because you are paying using your hard-earned money, it is only proper that you get the best and quality product your money can buy. However, you do have to consider the fact that different mattresses have different prices. And depending on the firmness or quality of the mattress, the best will be priced higher. You can check though with the salesperson if they have any sale discounts and if it’s applicable to the mattress with superior quality you’re eyeing to get. In relation to the second factor, any buyer should never forget to consider the comfort and firmness the mattress provides. If you really want to get a mattress made of high quality materials then you should test it if it’s comfortable and have the right firmness you’re looking for. Many stores allow their customers to briefly sleep on the bed for them to check if the mattress is really comfortable to sleep on and has the firmness you like. Don’t forget to consider this particular factor because your sleep is dependent on the comfort and firmness the mattress provides. These factors are very important and should be considered very well as you’re on the hunt for the right one when you look at the mattresses from the store.